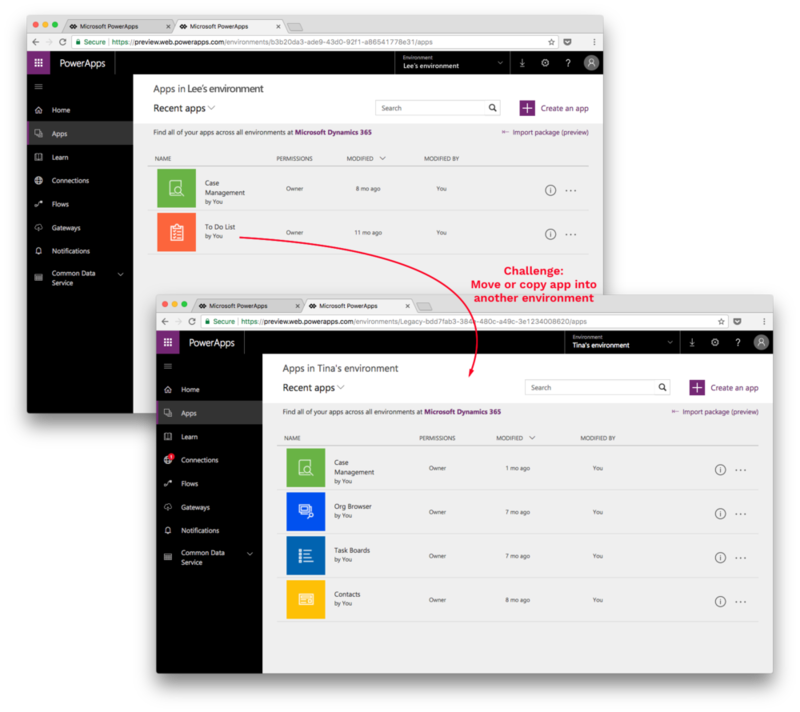 Microsoft PowerApps is an enterprise platform that enables users to create apps from their data sources. 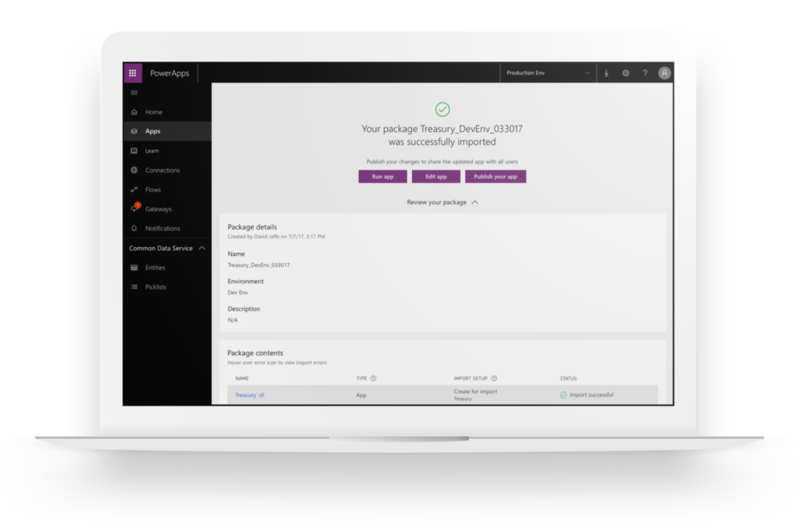 PowerApps users wanted the ability to export an app as a package, and import the package into another environment. This would enable IT Admins to utilize Sandbox and Product environments, as well as allow third-party developers to sell their apps on a marketplace. An initial design from the designer before me. This error view was overwhelming. I kept these constraints in mind as I began to brainstorm. 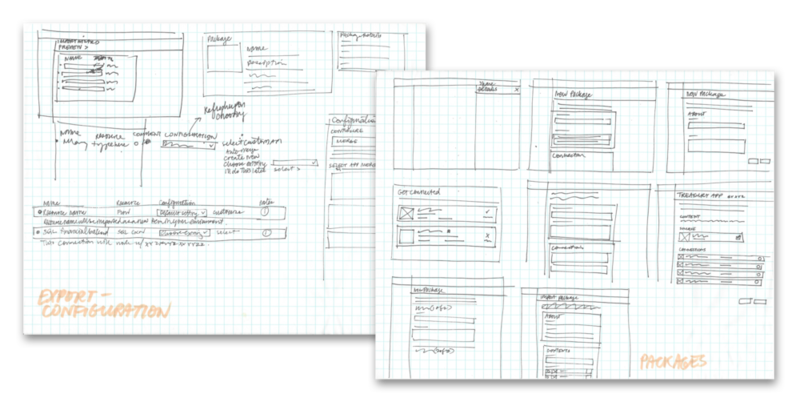 I began sketching to capture early ideas, user flow, and visual layouts. Here, my goal was to freely explore what a solution might look like. After getting a feel of the flow, I moved to Balsamiq to create low-fidelity wireframes that were presented to leadership and approved. After working with a content writer and researcher, I created a prototype in Invision to do initial validation testing. Based on feedback from initial research and internal design reviews, I moved into higher fidelity mocks to refine the UI. At this time, I begun talking with the Engineering team to discuss my design decisions behind each 'screen,' and collaborating to find elegant solutions to re-use components for efficiency. After refining interactions and navigation patterns, I narrowed on a few principles that guided the final results. Help users achieve success. Resources are set up in a way that will make them more likely to work in a new environment, and users can customize import configurations if they'd like. Error messages guide the user to address blocking issues. Create patterns that scale. The export and import process works in the consumer-facing portal, and the more advanced Admin portal. 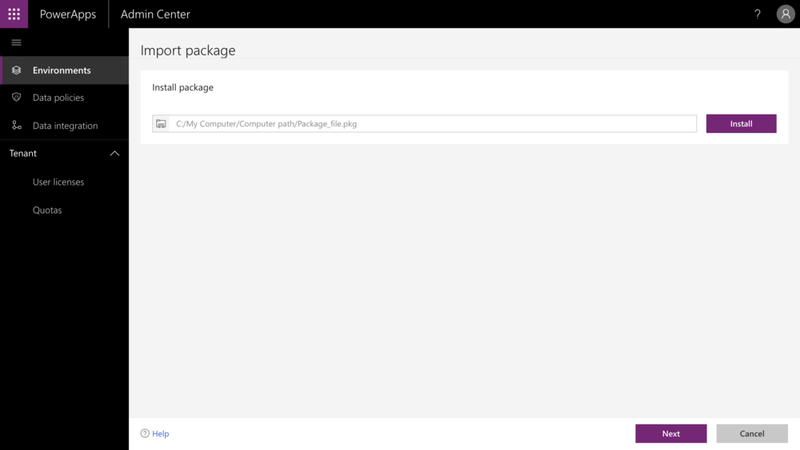 The updated design pattern was applied to the Administrative Portal as well.